Another great review by Tyran Grillo on the great Website All About Jazz. (link below). 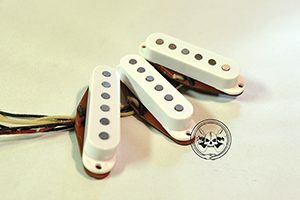 The name Hank Marvin may not be as internationally well known as those he’s influenced (Jimmy Page, Eric Clapton, and Mark Knopfler, to name a few), but intimations of his characteristic vibrato have emanated from many a six-string since he first backed Cliff Richard with his band the Shadows in the late 1950s. Marvin has enjoyed continued success as a solo artist, most recently in the present trio with accordionist Nunzio Mondia and rhythm guitarist Gary Taylor. Mondia and Taylor became instant collaborators when they first came together on the tribute album Hank Plays Cliff (1995 Polygram TV). 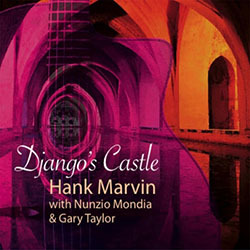 Now known as Hank Marvin Gypsy Jazz, Marvin and his associates have built up a songbook of arrangements out of mutual passion for Django Reinhardt and Stéphane Grappelli, whose music dominates their first full outing, Django’s Castle. With bassists Pete Jeavons, Robbie Pisano, and Matt Willis providing arch support, the band understands the meaning of swing and uses that understanding to enliven this collection of 14 tunes with panache. Three nominal swings, in fact, set the mood for a rollicking good time. Each highlights Marvin’s exceptional feel for steel, and the band’s keen making of music that is sure to get those feet tapping. Shuffling sweet solos into a deck of savory themes, the core trio deals itself a winning hand without fail. All are straight flushes, with the exception of two royals: the uplifting and distinctly realized “Micro” and emotionally naked “Si Tu Savais.” The latter is an unusually somber detour, all the more so for its haunting bellows. Mondia lends further graces to classics such as “Coquette” and “Viper’s Dream,” both striking mid-tempo pieces that ooze nostalgia. Even evergreens like “Honeysuckle Rose” and “I Can’t Give You Anything but Love” feel renewed, not least of all for their adroit sense of traction. Mondia plays with a smile, eliciting from his instrument a smooth, legato current that feels enmeshed in every shift of terrain. His relays with Marvin in “Minor Swing” and “Swing Guitars” are especially noteworthy in this regard. Marvin, for his part, adds sparkle to every nook and cranny that catches his ear. Whether bobbing on the current of the title track or ending the album as he does with the enlivening “Belleville,” he shows that virtuosity is one thing, but that threading virtuosity with a melodic line one can always follow is quite another. 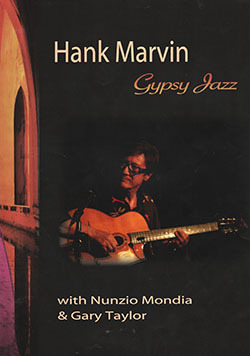 What truly distinguishes Marvin in the hallowed halls of fingerstyle players is the immediacy of his tone. Here is an artist who paints directly and cleanly, without the need for blending but who, like van Gogh, applies his paint in relief and lets the colors sing. What’s more, Marvin and his band are living proof that optimistic music can be just as serious and cerebral as the darkest, most brooding forms of jazz. For while there is an unmistakable joy about the album, one would require immense effort not to hear the depth of dedication required to pull it off with such fluidity. Fans of John Jorgensen, Lollo Meier, and Angelo Debarre won’t want to miss this. A master at work. Track Listing: Swing; Swingtime in Springtime; Noto Swing; After You’ve Gone; Si Tu Savais; Honeysuckle Rose; Coquette; Micro; Viper’s Dream; Django’s Castle; Minor Swing; Swing Guitars; I Can’t Give You Anything but Love; Belleville. 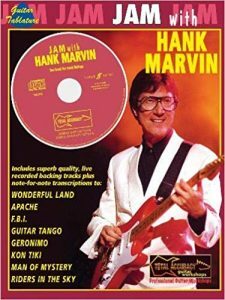 Personnel: Hank Marvin: lead guitar; Nunzio Mondia: accordion; Gary Taylor: rhythm guitar; Pete Jeavons; double bass; Robbie Pisano: bass; Matt Willis: bass.